NZ is a great place to live for sure. From the Far North to the Deep South – & everywhere in between! I grew up in a country where all Kiwis had the opportunity to own their own home or crib / bach. It’s a part of the kiwi dream! Working in new home real estate in hilly Dunedin, looking for solutions to cater for all budgets & difficult sites, I scoured the country far & wide to find options for new builds. There’s no doubt that there is a lot of talent & innovation throughout NZ in the design & building industry but I found the TRENZ Homes system to be the most accommodating with all my requirements. As was Darren, the local licensee. Between us, Darren & I have converted multiple empty sections into new homes. 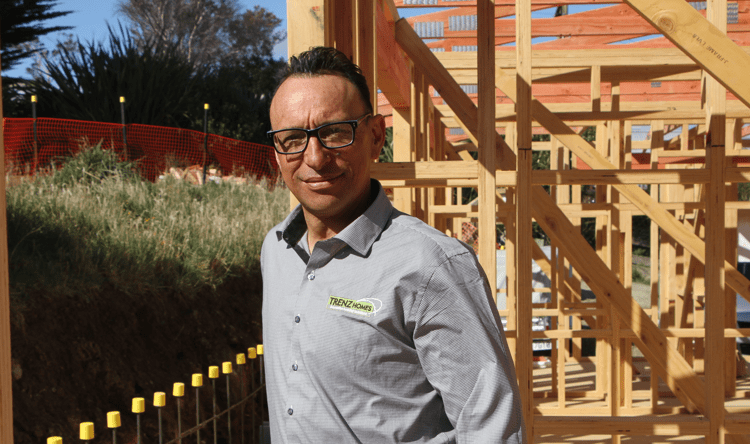 After working together from different sides of the fence, Darren asked me to join him to help out with the increasing workload as the TRENZ Homes Brand is spreading. I’m happy to be on board, helping Kiwis with their dream – owning a brand new home!